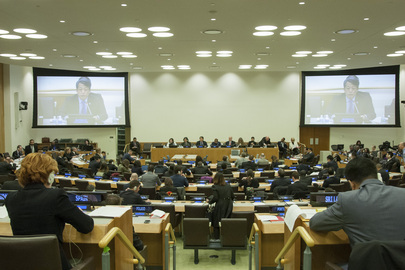 For the first time since 1999, the United Nations Disarmament Commission adopted consensus recommendations for transmittal to the General Assembly. The final report of the 2017 Commission contains recommendations on practical confidence-building measures in the field of conventional arms. The 2017 substantive session of the Commission was chaired by Gabriela Martinic (Argentina). 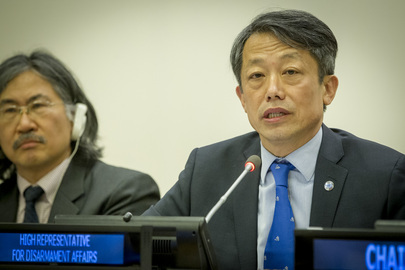 Addressing the closing of the session, Mr. Kim Won-soo, High Representative for Disarmament Affairs, noted, “Today is a momentous and happy day for the Disarmament Commission and the United Nations disarmament machinery. In reaching substantive agreement you have broken a nearly two-decade old deadlock and helped to breathe life into what many considered an irreparably moribund process”. Recommendations in the field of conventional weapons were last adopted in 1999 on the subject “Guidelines on conventional arms control/limitation and disarmament, with particular emphasis on consolidation of peace in the context of General Assembly resolution 51/45 N” (A/54/42). In an effort to consider a possible new subject of deliberation for future sessions, the Commission held informal meetings on: “Practical implementation of transparency and confidence-building measures in outer space activities with the goal of preventing an arms race in outer space”. These informal meetings were convened in accordance with General Assembly resolution 71/82 and based on the recommendations contained in the report of the relevant Group of Governmental Experts (A/68/189).